It's back! And it's the last one for the year! The Good Food & Wine Show has been travelling around Australia, and is now ending with the Brisbane show. Read on as Josie's Juice is set to give readers the chance to win one of two double passes for the Brisbane show, in from October 30 to November 1. Sophie Radonic, Senior Marketing Manager, says it is great to have such a high-profile chef and personality as part of the show. Ms Radonic said this year's Good Food & Wine Show program has been designed to get people thinking about how and why they use certain ingredients, not just the things they stock their pantry with. Co-host of MasterChef Australia, George has been awarded more accolades for his work than most receive in a lifetime. 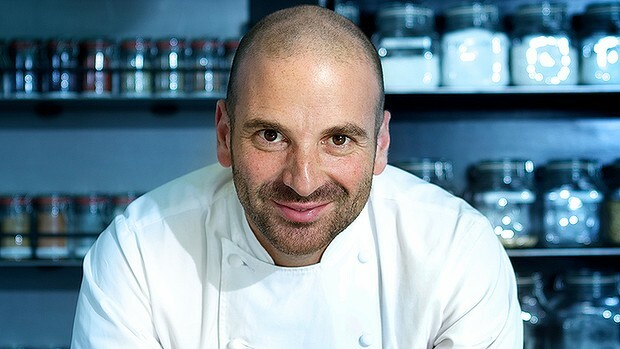 An internationally successful restaurateur, George owns five restaurants and has received many awards such as Chef of the Year (Age Good Food Guides), and featured in Top 40 Chefs of Influence in the World (Global Food & Wine Magazine) and also Top 100 Most Influential People (The Age Melbourne Magazine). George has also written cook books, including Greek Cooking from the Hellenic Heart. Nick has participated as a judge in many Australian and international wine shows and is a graduate of the prestigious Len Evans Tutorial. He’s a regular contributor to Gourmet Traveller Wine, Men’s Style Australia, and Adelaide’s Sunday Mail. Nick is excited by wines that are just as interesting at the fourth glass as they are at the first and would give it all up to play one game for the Port Adelaide Football Club. Host of the popular TV show River Cottage Australia, Paul is known for his passion for sustainable and seasonal produce. Trained as a chef, he has worked in all areas of food production from growing fruit and vegetables, as a WWOOFer (Willing Workers on Organic Farms) in orchards, to wholesale markets, retail fruiterers and one of the country’s top restaurants. After a stint at Melbourne’s renowned Vue de Monde, Paul moved to Tasmania with the long-term plan of one day living off the land and generally leading a more sustainable life.